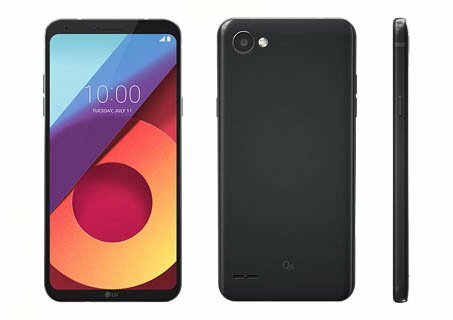 LG Launched new Mid-range Handset LG Q6 with Feel of its own Flagship Smartphone LG G6, Here we have enlisted the major Advantages and Disadvantages of this Smartphone. The key specifications of mobile are 5.5 inches Full HD display, Snapdragon 435 Processor, Android v7.1.1 Nougat OS, 13 MP Primary | 5 MP Secondary camera, 32/64 GB Internal | 128 GB SD Card Support, 3/4 GB RAM and 3000 mAh battery. The phone built quality is unique and premium from its counterpart device, The metallic frame is made up of strong 7000 series aluminum although the back panel is made up of plastic instead of metal. The handset is compact enough with 8.1mm thickness and 149 grams of weight. The Volume rockers are fixed on the left edge while power button is located on the right. Bottom housing 3.5mm audio jack and MicroUSB slot although the speaker grille is placed on the rear panel. FullVision Screen is the most talked feature of this handset just like LG G6 it comes up with 5.5 inches IPS Full HD+ FullVision 18:9 Wide screen having very narrow bezels. Its 442 ppi pixel density display is vibrant and sharp enough to offer a pleasant visuality. The high brightness of phone makes it easy to operate even in direct sunlight. To prevent the screen from unwanted scratches it also has Corning Gorilla Glass 3 protection. The phone has 13 MP primary Camera having f/2.2 Aperture, although on the Pixel count both the camera are same although when it comes to the quality we can see the compromisation. The photos taken from the Rear 13 MP camera are quite decent with good details but this is not the same case with the 5 MP secondary camera however, it can take 100-degree wide angle photos, The selfies in sufficient lighting are acceptable otherwise, they are dull. so primary camera is verifying the price to some extent although the secondary camera definitely could be better. This is a mid-range smartphone with entry-level CPU, It is powered by Qualcomm MSM8940 Snapdragon 435 octa-core processor clocked at 1.4 GHz. This chipset is coupled with 3 GB RAM offering a decent day to day performance However it is incapable of handling heavy games and multitasking as well. You should only go for this phone if premium design and unique display resolution are your priority over the heavy performance. Company offering 3000 mAh battery inside the phone which is providing Talk Time of 14 Hours and 136 Hours Standby Time. So in mixed use, you will get nearly about one full day battery backup. LG also offering a special free of cost one-time screen replacement for this handset within a period of 6 months from the date of purchase. Dual SIM Slot with Dedicated micro SD Slot. Crystal clear 5.5 1080p full HD + Full Vision Display. The frame is Made of 7000-grade Aluminium. Face recognition/ KnockCode for Unlocking the phone. NFC is supported by the device. Built on Military standard 810G certification. The under-powered processor for multitasking or heavy Gaming. The Camera especially Secondary is not up to the mark. Speaker located at the back with mediocre sound. It is disappointing to see the mid-range phone without fingerprint scanner. LG decided to launch its flagship looking Phone (LG G6) under the affordable range (By cutting price and features as well) so finally, there is LG Q6 in the market with FullVision 5.5 inches FHD display which looks incredible while holding in hands or putting them on the table. The CPU is not as expected but definitely, delivers a decent performance for day to day use. while under same price segments you can go for Nokia 6, Lenovo K8 Note, Redmi Note 4 and Moto G5 Plus. I freaking love this phone. Some guys dont wanna buy this because of no fingerprint scanner but rhe quality of the phone is what makes it unique. The Content is copyrighted to Owner and may not be Reproduced without Permission of Admin.